Skyscraper ladder Stairscraper / Nabito "Road to the Clouds"
Mankind keeps trying to climb on foot to the skies since the time of the Tower of Babel. From the Bible we remember than the end of this undertaking, but every year all the advanced technology, people are smarter and buildings under construction all of the above ... And then, finally, and he very concept of this ladder in the sky, amazing skyscraper Stairscraper , designed Spanish developers of Nábito Arquitectura and became one of the finalists Total Housing: Apartments in 2010 , which was held in New York. 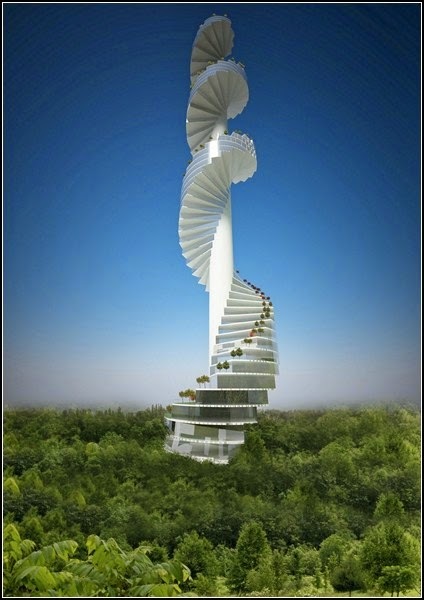 A huge building, resembling a screw or corkscrew, is actually a spiral staircase on which probably could ascend to heaven, to the sun itself, above the clouds. 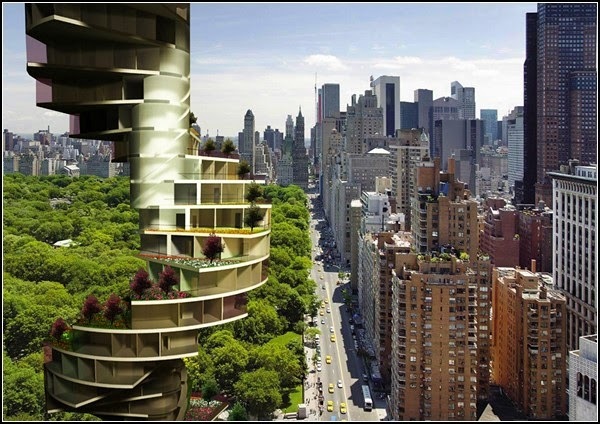 However, given the infrastructure, which will be rich skyscraper stairs, it is doubtful that anyone would want to exchange the creature comforts at exorbitant unknown. 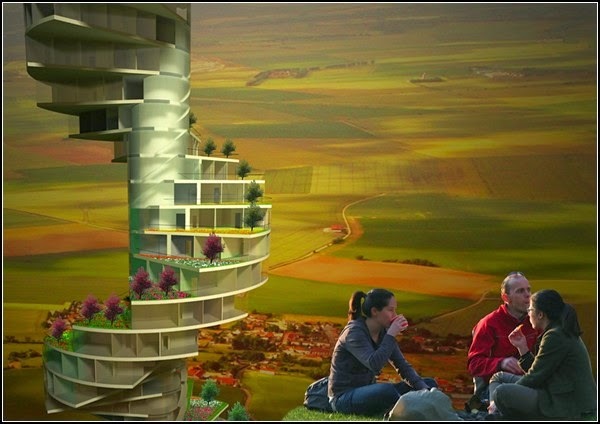 Thus, the skyscraper will be very generous with windows and balconies, which means that potential tenants apartments not threatened by a lack of lighting. In addition, terraces and porches, floors, stairs educated, designers have planned as recreational areas: parks, tennis courts, swimming pools, playgrounds, outdoor restaurants and cafes. By and large, the project resembles the vertical development of the city - like urban neighborhoods with private cottages grouped and built one above the other. 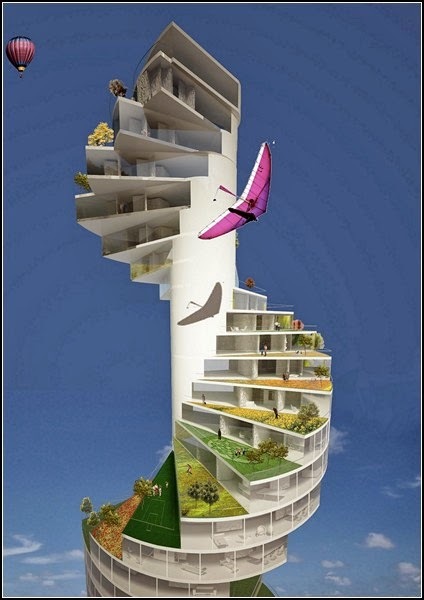 Even the authors of the project called Stairscraper link urban and suburban, horizontal and vertical, personal and general, in general, all-purpose building, That's just the realization of this project may be delayed significantly: while it is clear is that there are beautiful pictures, sketches, and the author's concept. Will built this giant - it is as a giant question mark.